St.GEORG is the most traditional equestrian magazine in Germany and one of the opinion leaders in the equestrian scene. 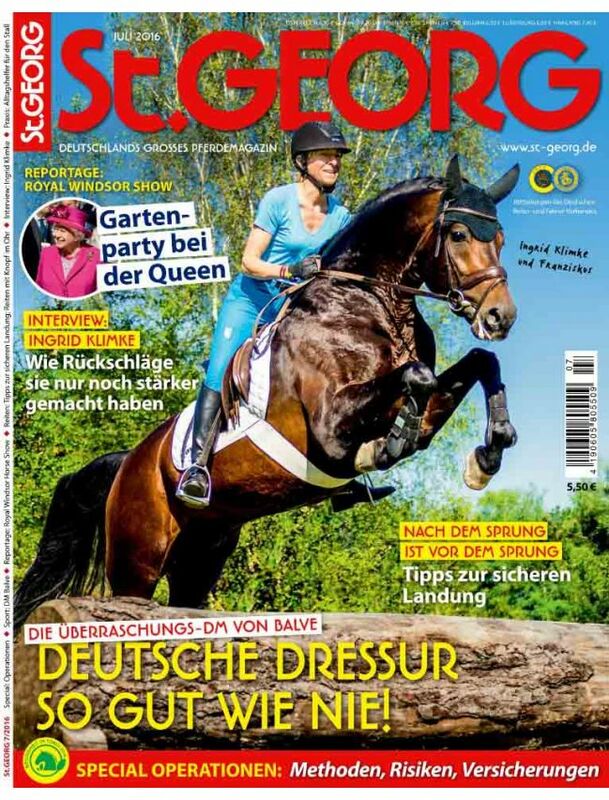 Competent reports of topical interest about all fields of the equestrian sport and breeding makes St.GEORG an indispensible and one of the most influential equestrian magazines in the German-speaking countries. Every month St.GEORG offers comprehensive information about the equestrian sport, training, breeding and horse keeping as well as exciting spot reports - with an attractive lay-out according to most modern criteria.